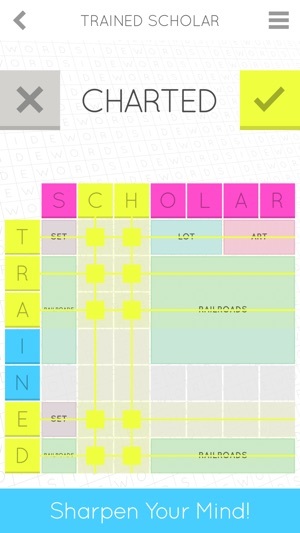 Sidewords is part logic puzzle, part word game, all original. No timers. No penalties. No pressure. Just you and a good puzzle. 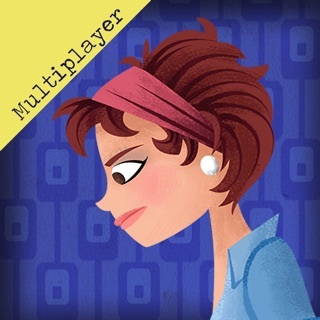 Sharpen your mind with hundreds of puzzles, from small and quick, to large and captivating. Plus three new puzzles to do every day! There’s even a bonus game included! Choose a color scheme that fits your mood and environment. Get your morning started with bright colors, or unwind at the end of a long day with a dark theme. 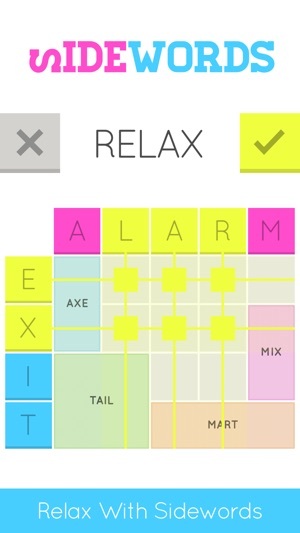 "If you're looking for a truly new word game experience, this is the game to get." 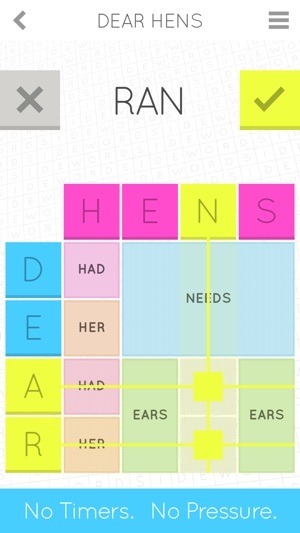 "The word and logic elements mashed together create a special experience that I’ve never seen before in a word game"
"If you’re looking for a word game with some unique ideas, go download Sidewords"
"Sidewords isn't quite like anything else you've ever played before." The big new thing in this version is the addition of Daily Puzzles! 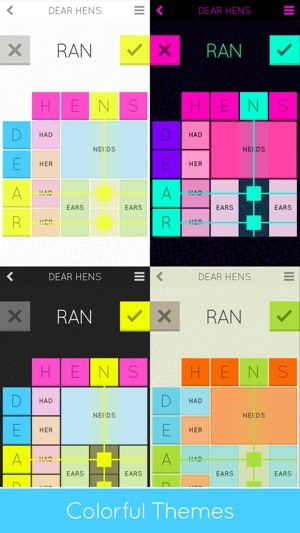 You’ll be given 3 new puzzles every day (one small, medium, and large). Everyone gets the same puzzles to complete. We’ve also added a link to a video tutorial (available by tapping the menu button in the top right of the puzzle screen). And we’ve fixed the crash that was happening on iPad when trying to share puzzle solutions. 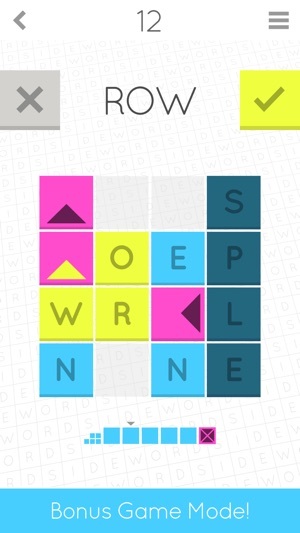 We hope you keep enjoying Sidewords! I’m enjoying this but am frustrated that several of the words I’ve tried are not acceptable. I like the concept very much. Using the rows and columns to make new words but not being allowed to double up is a very interesting challenge. And at the upper levels I’ve learned some words I didn’t know. 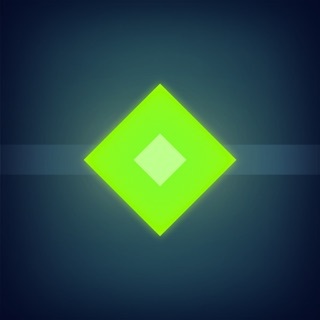 Clever little game with a ton of content. It even comes with a bonus mini-game, and they’re putting out daily puzzles for the main game as well. Well worth the price. I play a lot of word games. 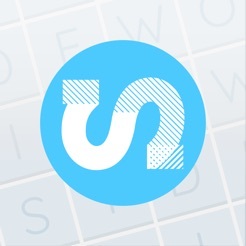 Sidewords and the bonus Quads game are both fun, different, and challenging. Kudos!